Start the Comodo Internet Security application as explained in the section Starting Comodo Internet Security. 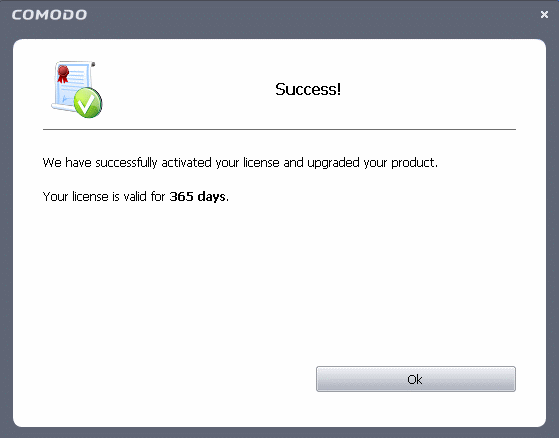 Step 1: To activate your License, click 'Activate Now' beside 'License' from the bottom left corner of the main interface. The License Activation Wizard will start. You should have received your License key through email. Enter the license key and click 'Activate'. The wizard starts validating your key. 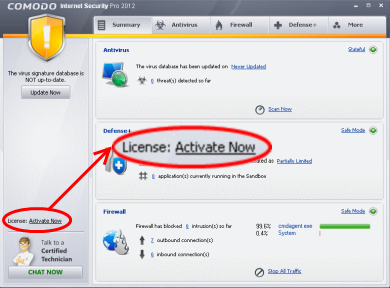 Tip: If you haven't subscribed for Comodo Internet Security - Pro so far, click the 'Get one now!' link. 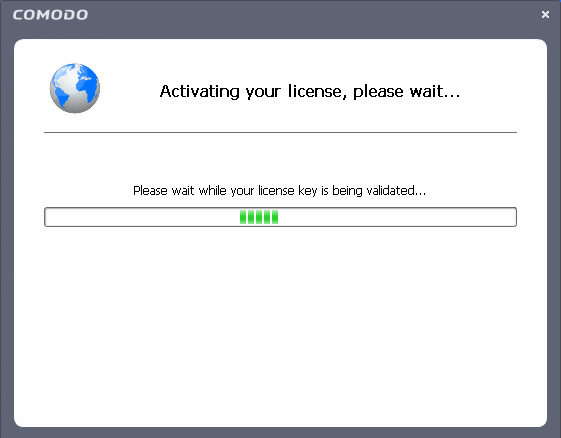 You will be taken to the Comodo website enabling you to purchase the license. On successful validation, your subscription will be activated and a confirmation screen will be displayed. Click 'Ok' to exit the wizard. 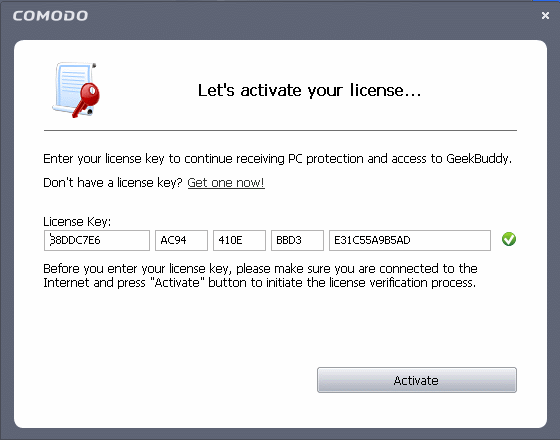 Tip: You can also enter your activation key by clicking the link 'Enter a license key' in the About dialog, accessible by clicking More > About from the main interface. Refer to About for more details. © Comodo Group, Inc. 2019. All rights reserved.